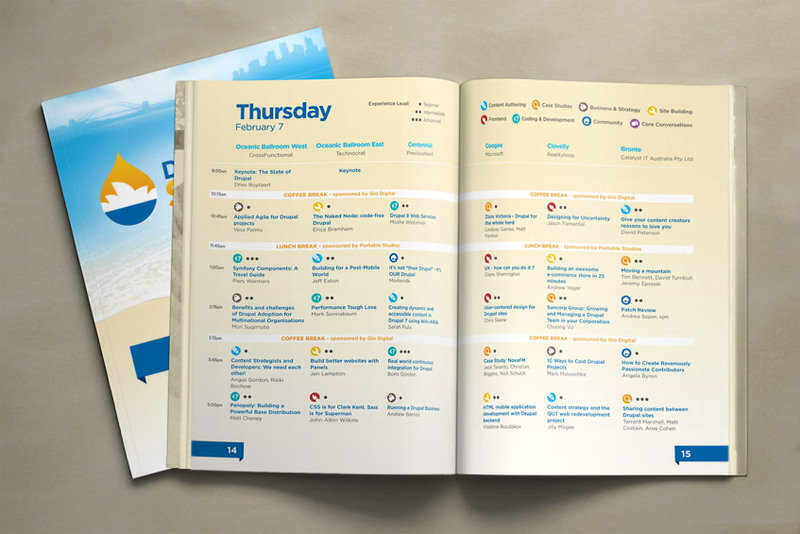 I was responsible for the design and production of a variety of branding collateral for DrupalCon Sydney 2013, which was hosted in picturesque Coogee Beach, Sydney. The branding work covered a wide range of disciplines across print and digital media. These included logo and style guide design, website interface design direction, program guide and event signage.